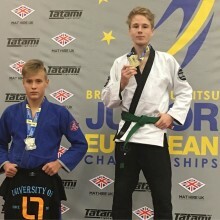 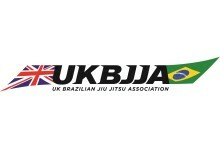 Billy Hayes (14) from East Sheen in South West London has added to his growing medal collection by taking a hard fought gold medal at the prestigious Brazilian Jiu Jitsu Junior European Championship, which took place in Wolverhampton on 20 November, 2016. 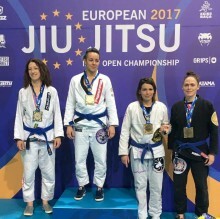 Ashley Amos is a super heavy weight BJJ athlete who took the UK by storm in 2015 to become the top ranked male blue belt as named by the UK Brazilian Jiu Jitsu Association (UKBJJA). 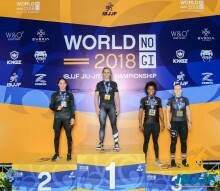 Following his victories throughout the year, Ashley was announced as the top ranked male blue belt at the end of 2015.